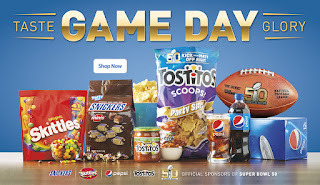 January means it’s playoff time – when every game is The Big Game! 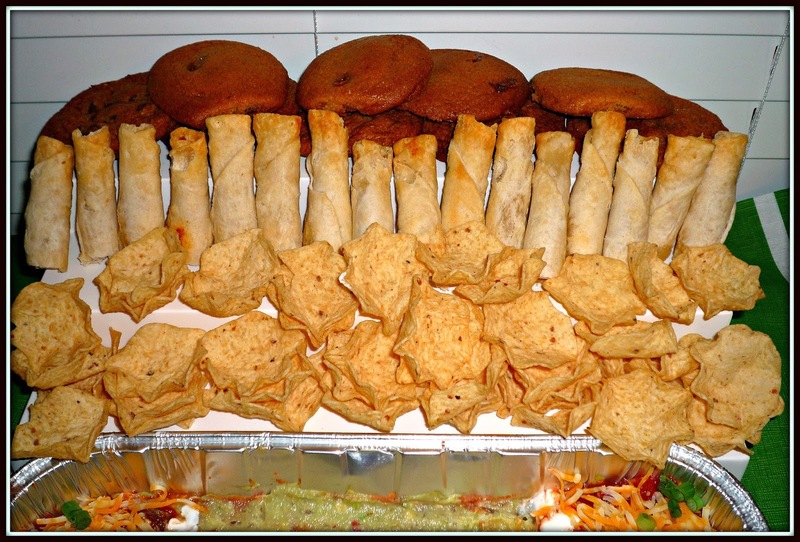 Game day also means that you'll likely be serving your guests lots of yummy snacks to fuel all that cheering. Today, I’m going to share how to make the perfect game day appetizer centerpiece – my Split Decision Sweet and Savory Snack Stadium using delicious SNICKERS®, Skittles®, Pepsi™, and TOSTITOS® products! 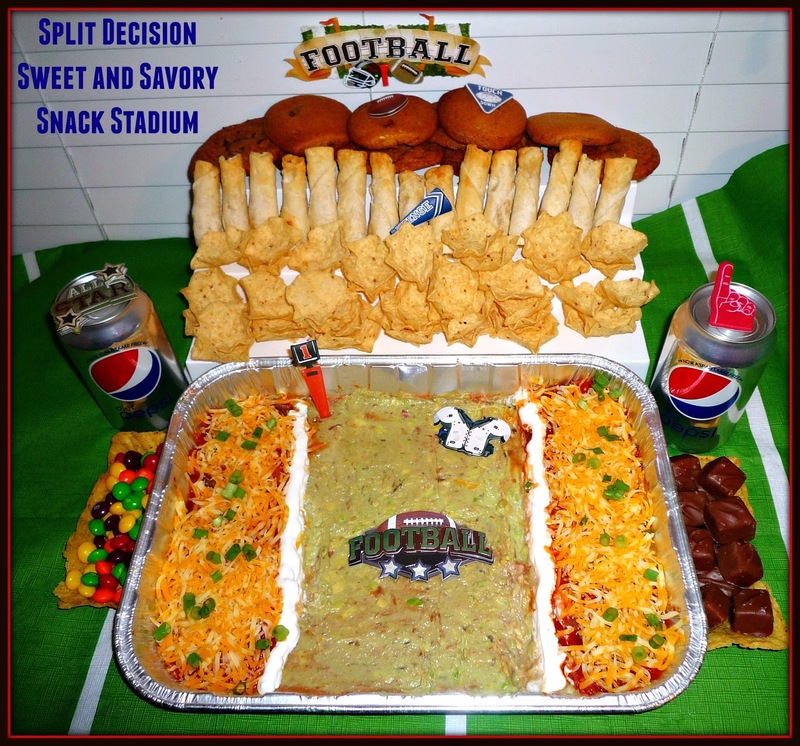 If you’ve never seen a snack stadium, it’s basically a collection of snacks that's constructed to look like a football stadium. It's an EDIBLE stadium, y’all!! Snack stadiums can be quite elaborate, but I personally find the prospect of assembling a behemoth snack stadium to be very intimidating. My Split Decision Sweet and Savory Snack Stadium is stress-free and super easy to assemble. It’s also totally cute and feeds 4-6 hungry football fans. Once everything was purchased, it was time to go home and construct this fun – and tasty – centerpiece for my football game day food table! 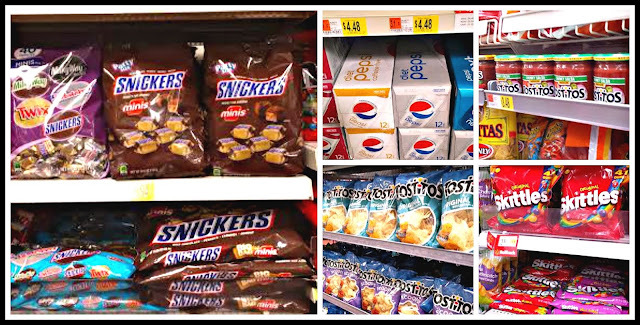 Let me show you step-by-step just how simple it is to create my simple snack stadium with SNICKERS®, Skittles®, Pepsi™, and TOSTITOS® products! Step 1: Assemble the layered Mexican dip in the aluminum pan. Warm the refried beans in the microwave until spreadable and stir in half of the jar of TOSTITOS® salsa, until smooth. Spread the bean mixture in the bottom of the pan. 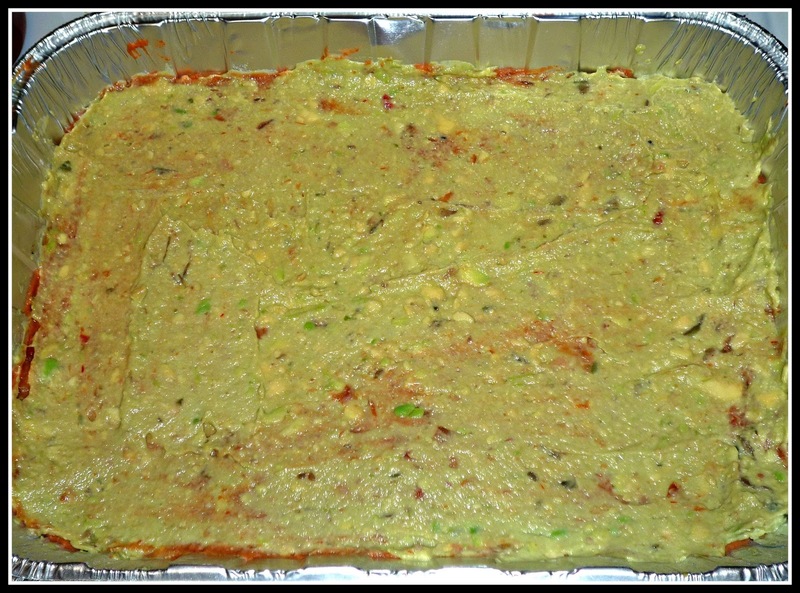 Top the bean layer with a layer of sour cream, then a generous layer of guacamole. Step 2: Create yard lines and end zones markers by placing sour cream in a squeeze bottle. Mine came out wonky at first, but was easy to use a butter knife to remove the sour cream and repipe a clean line! In the end zones only, top the guacamole with the remaining TOSTITOS® salsa, shredded cheese, and green onions. Place a decorative football scrapbook cutout in the center of your field. 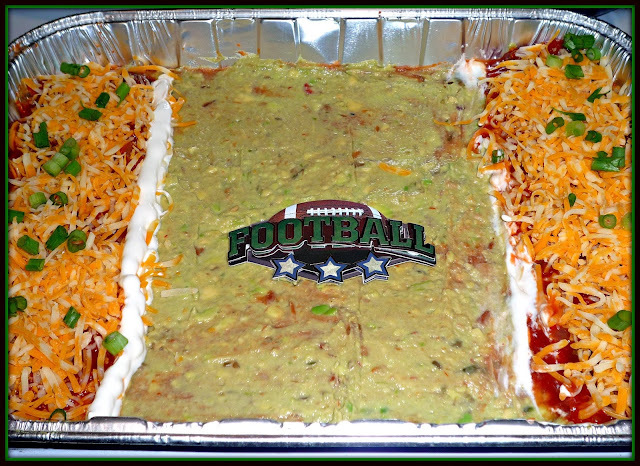 Step 3: Set up the bowl-shaped fried corn tortillas at either end zone. Fill them with colorful rainbow-colored Skittles® candies and SNICKERS® minis. Step 4: Place the three-tier spice rack at the back of your field. Arrange TOSTITOS® Scoops on the bottom row. In the middle row, put your favorite Mexican-themed snack. I used quick homemade chicken taquitos, but quesadillas or jalapeno poppers would be fun too. I wanted them to look like fans in the stands. For the top row, arrange a fun baked treat. I wrapped cookie dough around SNICKERS® minis and baked them – the SNICKERS® minis are a fun surprise when your family and friends take a bite! 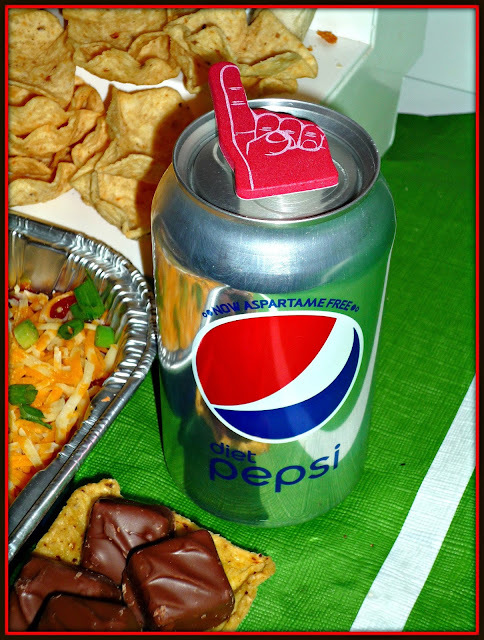 Step 5: Arrange more scrapbook cutout décor to complete the game day theme, and arrange cans of chilled Diet Pepsi™ around your field to represent a spiral staircase leading from the field to fan seats. The bottom line? Use your imagination and have FUN customizing your snack stadium! 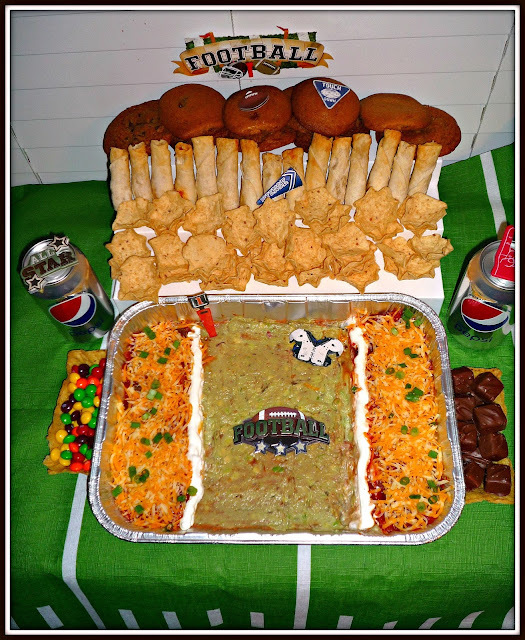 I hope you’ll give my easy, no-stress snack stadium a try for the your next game day feast! The cookies can be baked up to a day ahead to save time. Otherwise, the rest of the steps aren’t time-consuming to finish – I like to give myself about an hour to get everything set up before my guests arrive. 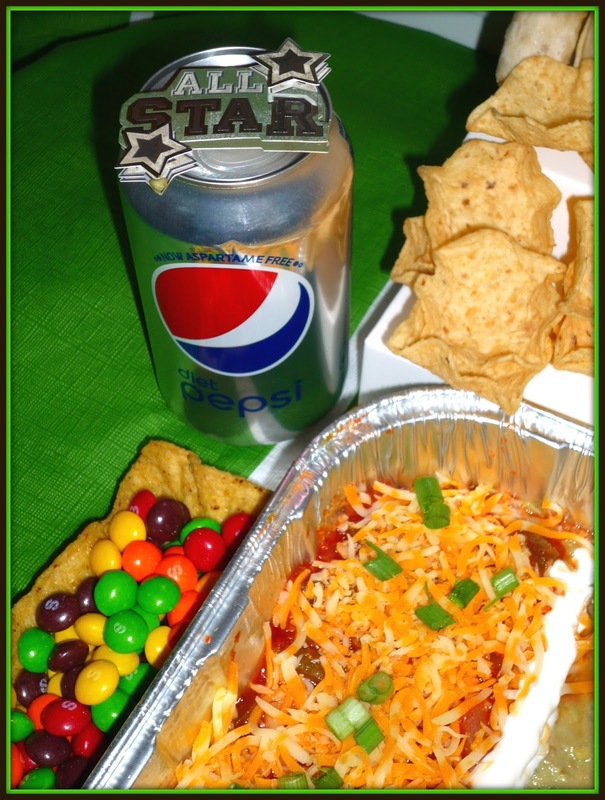 Be sure to check out this link for more recipes and snack stadium ideas! S0, tell me…what décor or sweet and savory dishes you’d add to make YOUR personal spin on my snack stadium for your Game Day Glory? I can’t wait to hear!